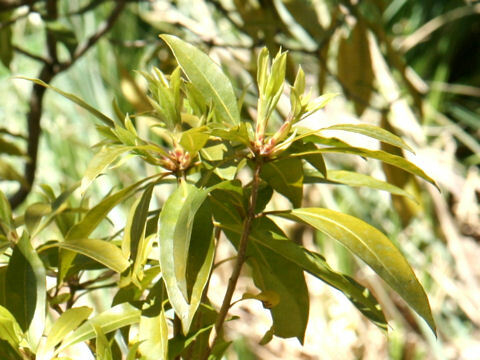 Sweet pittosporum belongs to Pittosporaceae family. 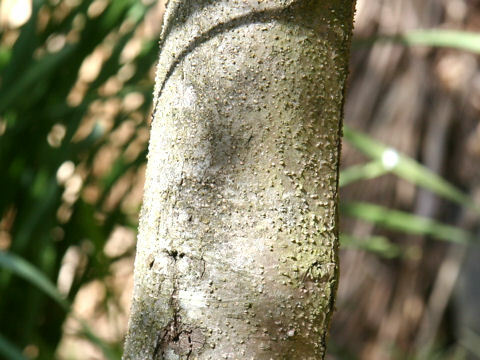 It is an evergreen tall tree that is native to eastern Australia, from southeast Queenslant to eastern Victoria. 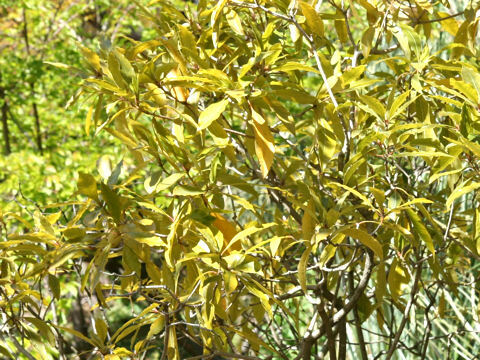 This tree occurs in moist gllies in raniforests and sclerophyll forests and can reach about 12 m in height. The leaves are glossy green, oblong with distinct wavy or undulating margins. The small white fragrant flowers come in terminal clusters in spring to early summer. The fruits are berries 1 cm in diameter and ripen orange-tan in fall.